Over the past 20 years the Robert Cunningham has set 57 IGFA World Records on both fly rod and rod and reel. 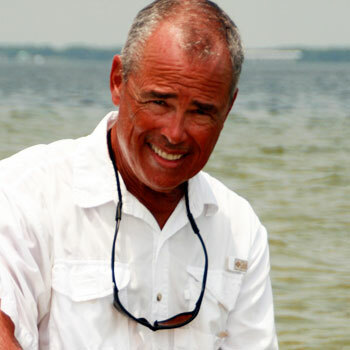 His saltwater records range from redfish inshore to dolphin and yellowfin tuna offshore. Among the freshwater records are bowfin and spotted gar found in the swamps of the river delta. Most are the product of the extreme challenge of light line fishing and most were set on the northern Gulf Coast, but the list and the author’s experience include tippets as heavy as 20 pounds and species from the Pacific Coasts of Mexico and Costa Rica to the Bahamas in the Atlantic. For every record set, there were a “stupendous number” of failed efforts and heartbreaking near misses. Robert Cunningham has been chasing world records for two decades and has many stories to tell. Listen in to find out about the rare successful record catches, but also on the far more frequent failed attempts and the angling lessons learned from each of them. Anyone who has ever dreamed of a world record catch as well as any angler seeking to improve his fish fighting skill and techniques will learn from these experiences and enjoy a good fish story or two in the process. Chasing Records chronicles the highlights of two decades of chasing world records and introduces the reader to the great guides and colorful characters who made many of them possible. It focuses not on the rare successful record catches, but on the far more frequent failed attempts and the angling lessons learned from each of them. Anyone who has ever dreamed of a world record catch, as well as any angler seeking to improve his fish fighting skill and techniques, will learn from these experiences and enjoy a good fish story or two in the process. A lifelong resident of the northern Gulf Coast, Robert Cunningham grew up in a culture and a family where going fishing was the only acceptable excuse for missing church on Sunday. He left home for military school as a teenager and rarely fished again until his late 30's. In the interim, and before college and law school, he served as both an enlisted man and officer in the Marine Corps and flew over 500 helicopter combat missions in Vietnam. Among his decorations are the Distinguished Flying Cross and the Purple Heart. He still carries an AK47 armor piercing round in one leg which he says causes a “weight imbalance” that he routinely blames for his frequent bad fly casts. He is the senior partner at the Mobile, Alabama law firm, Cunningham Bounds, LLC.